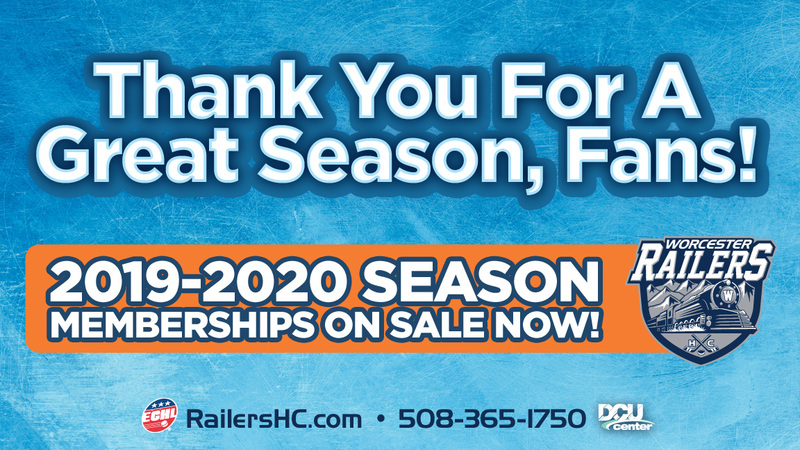 The Worcester Railers would like to thank the 152,370 fans that attended a Railers game at the DCU Center this season! We look forward on seeing all of our members at Railers sponsored events throughout the offseason. Make sure to follow all of our social media channels for up to date information as well as updates every Tuesday with Tuesday’s with Tom. 2019-20 season ticket packages are on sale now for the Railers third season of ECHL action which will begin in October 2019. Call 508-365-1750 for more information. The Railers Tavern located behind the DCU Center provides hockey fans with a great place to hang out all offseason long – make sure to check out the Wachusett Beer Garden located outside behind the Tavern this summer! https://railershc.com/wp-content/uploads/2019/04/WOR040319A_web_1152x648.jpg 648 1152 admin /_media/logo082018.png admin2019-04-08 10:27:082019-04-08 10:27:08THANK YOU FANS! Railers close out season with 5-4 overtime thriller in Adirondack 2018-’19 Equipment Sale!